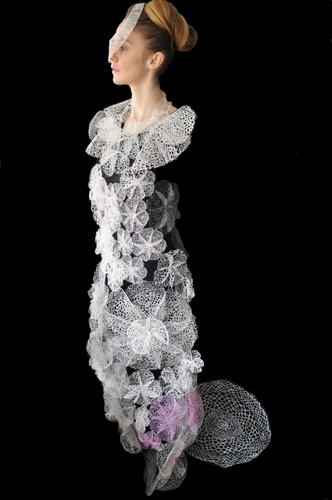 I’m very excited to have my Eternal Lace Wedding Dress, in the show ‘Seams’ next week. This exhibition is the work of collective Sweet’ Art. The show itself explores art inspired by fashion, and fashion inspired by art. This seemed the perfect place to exhibit my work, and it’s on during London Fashion week, providing an alternative view of the fashion and art industries. About 67 artists are represented, and it will be well worth visiting!